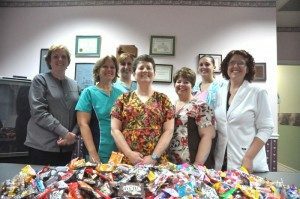 Brandywine Smile Center’s Trick or Treat for Troops program has sent thousands of pounds of unwanted or leftover Halloween candy to our service men and women serving overseas. 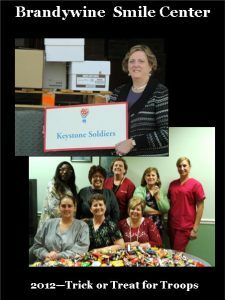 Each year during the week following Halloween we collect candy and arrange for it to become part of care packages that are shipped to Pennsylvania service men and women serving our country. Help us sweeten the day of those brave men and women who sacrifice so much for us. 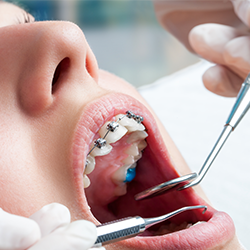 Dr. Marie Scott and Dr. Stephanie McGann began this program in 2009 at the suggestion of a dental patient on leave from his posting in Afghanistan. He shared with the practice how the local children loved to find a sweet treat in an American solider’s pocket. From that inspiration Trick or Treat for Troops has grown into a massive collection of leftover, unwanted candy that goes to Keystone Military Families, an organization that provides care packages and holiday stockings to Pennsylvania military. In 2010 the office collected 216 pounds. 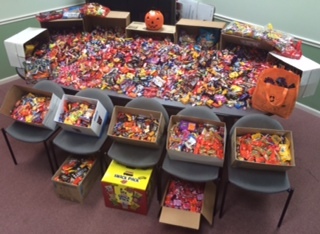 In 2011 that amount was nearly doubled with a whopping 419 pounds of candy. Today we collect 600-800 pounds annually. 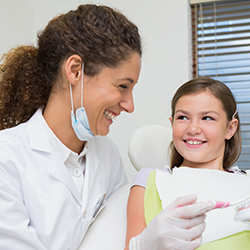 The Brandywine Smile Center attributes the success of this program to the participation of so many of their patients! We accept any commercially produced individually wrapped candy or snack. We cannot ship beverages or items that are perishable. 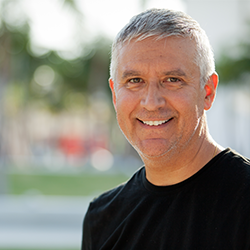 A big thank you to so many of our patients who participated or who reached out to me to start a candy drive in their own neighborhoods and workplaces. While hurricane Sandy put a dent in Halloween this year, we still collected well over 300 pounds of candy. 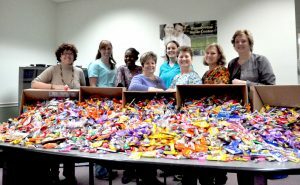 Thanks to so many of our patients and friends who helped us collect candy that will be sent to troops! 419 pounds of candy and snacks will be included with holiday care packages that will sent to Pennsylvania military men and women serving our country! 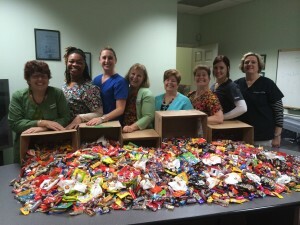 Our patients helped us gather 216 pounds of candy! 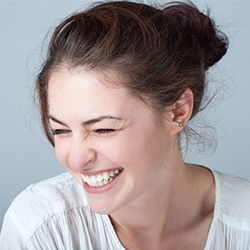 Stephanie McGann, DMD and Marie Scott, DMD are proud to support our military men and women.